1. 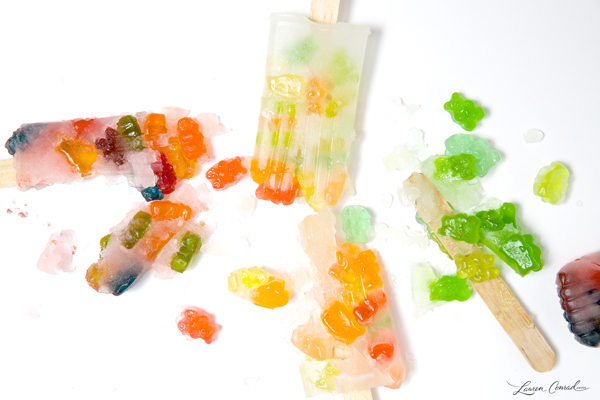 Drop a few gummy bears into your popsicle mold. We made some that were multicolored and some that had a color scheme like green ombre and peach ombre. 2. Pour the coconut water or Gatorade into the molds. The coconut water popsicles are healthier but the Gatorade ones taste a little better. 3. 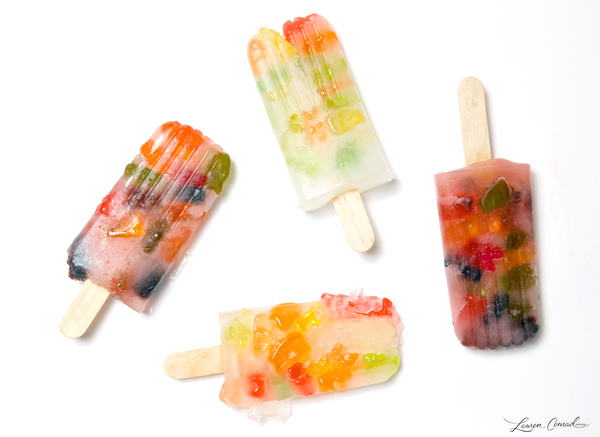 Freeze your popsicles for about four hours or until they are completely frozen. 4. Once frozen, take your popsicle mold out of the freezer and let them sit at room temperature for about three minutes to ensure they will come out in one piece. We found that this little thawing trick helps to pull them out without breaking. When we tried pulling them out right after taking them out of the freezer, they broke in half. You can also run warm water over an individual popsicle mold to help it thaw faster. Even if your popsicles do break off a bit inside the mold, I can assure you that they still taste deliciously sweet and refreshing. 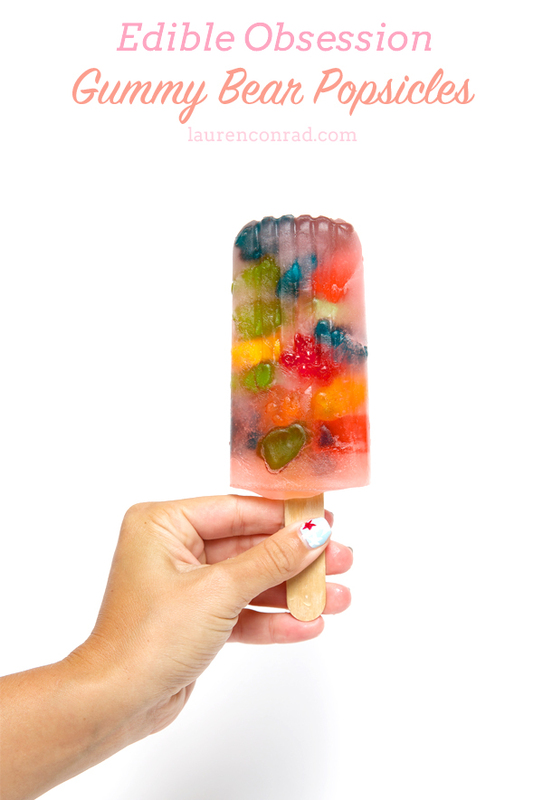 You can also experiment with putting other candy (like gummy worms) or even small pieces of fruit (like blueberries or cut up pineapple) into your popsicles. Feel free to get creative! What ingredients will you use to make your popsicles?